Tonight’s Preview: Welcome to the WHL playoffs! The Rockets are back in the playoffs after missing the post season for the first time in franchise history in 2006-2007. The Rockets were 1-3-0-0 in four games against the T-Birds during the regular season. The T-Birds outscored the Rockets 17-8 in those four games. These two teams are meeting or the 4th time in the playoffs. 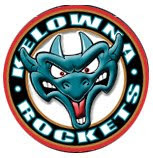 The T-Birds beat the Rockets in 6 games in the 2001 playoffs, before the Rockets won a 6 game series in the Western Conference Final in 2003. In the last playoff meeting between the two teams, in 2005, The Rockets used 7 games in defeating the Birds in the Western Conference Semi Finals. Game one and two of the best of seven is tonight and Saturday in Seattle before switching to Kelowna for games three and four Monday and Tuesday. If a game five is necessary it will be played next Thursday in Seattle with game six back in Kelowna Saturday March 29th. Regular Season Review vs. T-Birds: Both Kristofer Westblom and Torrie Jung split the four games against Seattle. Westblom was in goal in the Rockets lone win, a 4-3 shootout victory in Seattle. While the T-Birds out-shot the Rockets in three of the four games, the Rockets managed 109 shots on goal in the four games (27.3 per game) compared to the T-Birds 103 (25.8 per game). The Rockets were 3 for 22 on the power play in the four games (18.2%) while Seattle was 5 for 25 (20%) with the extra man. Handing Out Hardware: Colin Long was named the MVP at the Rockets annual awards banquet Tuesday night. Long also picked up the top scorer award. Jamie Benn was named the co-winner of the Rookie of the year with defenseman Tyson Barrie while being named the Top Defensive Forward. Benn also won the Top Plus/Minus honor. For the second straight year Luke Schenn was named the Top Defenseman, while Collin Bowman was named the Unsung Hero. Veteran Goaltender Kristofer Westblom was the Humanitarian of the year while Tyler Myers was the Scholastic Player of the year. Kyle St. Denis was named the Most Sportsmanlike. Rockets Review: The Rockets won 38 games this season, marking the 13th time in the teams 17 year history they have registered 30 or more wins in a season. The Rockets scored 248 goals, fourth most in Western Conference behind Tri City (262), Spokane (251) and Vancouver (250). The Rockets scored 92 goals more than a year ago. Colin Long was 2nd in WHL scoring this season with 100 points, becoming the first Rocket since Jesse Schultz (104 points in 2002-2003) to hit the milestone. Jamie Benn led WHL rookies in goals scored (33), while Tyson Barrie led rookie defenseman in scoring (9+34=44). The Rockets had eight players who scored 15 or more goals this season. Last year just three Rockets hit the bench mark. 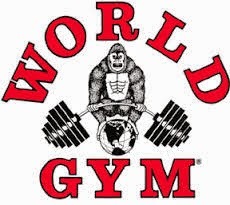 Those three were Chris Ray (19), Justin Bernhardt (15) and Cody Almond (15). Only two players on the Rockets roster failed to register new career highs in points. Those two players were Luke Schenn and Myles MacRae. Playoff Experience Leaders: Veterans Colin Joe and overage forward James McEwan lead the Rockets in playoff experience with 15 games. Luke Schenn is next on the list with 12 playoff games. Surprisingly 20 year-olds Brady Leavold (6 games) and Kristofer Westblom (5 games) do not lead the way. The Rockets defensive core has just 43 games of playoff experience combined. Tyson Barrie and Collin Bowman are making their WHL playoff debuts tonight. Thirteen of the Rockets 23 man roster has never played a playoff game. Brady Leavold played in his 200th WHL game last Saturday against Prince George.…Colin Long was the only Rocket to play in all 72 games this season…When Jamie Benn scored this season the Rockets were 16-6-0-3.…Benn made his WHL debut against Seattle October 5th…Benn played in just two of the Rockets four games in the seasonal series with the T-Birds…James McEwan played 103 games with the T-Birds between 2004 and 2006. 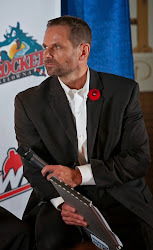 McEwan had 540 career penalty minutes over four seasons in the WHL…The Rockets have scored a power play goal in 16 of their last 20 games….The Rockets have just three road wins in their last 11 games. The Rockets are (3-7-0-1) over that period…The Rockets are 8-7-0-0 in their last 15 home games…Kristofer Westblom has started in seven of the Rockets last 10 games, yet Torrie Jung has started in three straight. Most Goals Scored: 11 @ Prince George Jan 11/08 in an 11-1 win. Most Goals Allowed: 9 vs. Lethbridge February 1/08 in a 9-4 loss. Most Power Play Chances: 11 @ Chilliwack Feb 2/08 in a 6-3 loss, @ Swift Current Jan 25/08. The Rockets were 0/11, losing 4-0. Most Shots Taken: 41 @ Prince George Jan 12/08 (5-2 W). Most Points by a Player: Jamie Benn had 2+4=6 vs. Prince George Jan 19/08. Most Goals by a Player: Brady Leavold scored 4 goals vs. Prince George Jan 19/08. Penalty Shots: Dylan Hood fails to score Feb 16/08 in a 3-2 shootout win vs. Edmonton. Juuso Puustinen fails to score on Torrie Jung Feb 8/08 in a Rockets 2-1 shootout loss to the Blazers. Lucas Bloodoff fails to score on Justin Leclerc in 4-3 loss to Kamloops December 28th. Torrie Jung stops Bruins forward Cody Smuk in a 4-1 win in Chilliwack Dec 31/07. Torrie Jung stops Hawks forward Luke Walker Nov 17/07 in a 4-1 win in Portland. Kristofer Westblom stops Everett’s Shane Harper in a 3-2 overtime loss Nov 16/07 in Everett. Torrie Jung stopped Michal Repik in the 3rd period of a 5-0 loss Sept 29/07. Shootout Game Winning Goals: Cody Almond scores vs. Chilliwack Mar 7/08 in a 4-3 win. Colin Long scores vs. Giants Feb 24/08 in a 3-2 win. Tyson Barrie scores vs. Edmonton Feb in a 3-2 shootout win. Dylan Hood scores in a 4-3 win in Seattle October 6/07. Colin Long scored the game winner in a 2-1 win over Vancouver October 24th. Three Way Horse Race for 4th Begins - Giddy Up!